Key difference: Castor oil is obtained from castor seeds; while Coconut oil is extracted from the kernel or meat of matured coconuts. Both these oils are best known for their hair and medicinal usages. Castor and coconut oils can be considered as competitive oils. Both oils are great in keeping the hair and skin moisturized. These oils are full of blended nutritive components which prove to be beneficial for most of the health related issues. One among which is, both oils are a good sealant for hairs; but if compared than castor oil is more sealant than coconut oil, as the oil can actually penetrate the hair shaft and works as a moisturizer. Castor Oil is obtained from black castor seeds. After pressing the castor seeds after a relevant period of time the oil is obtained, which is a blend of triglycerides rich in fatty acids chains and ricinoleate. Castor oil is not fit for cooking, as the oil has an undesirable taste, and not happening flavor. The oil belongs to the African and Indian regions, where the oil is used for medicinal and therapeutic purposes. Though the oil is unfit for cooking, it has a major share in many food industries, such as; in food grade, it is used in food additives, flavorings, candy, as a mold inhibitor, and in packaging. The polyoxyethylated castor oil is used in the food industries. Castor oil and its derivatives are used in the manufacturing of soaps, lubricants, hydraulic and brake fluids, paints, dyes, coatings, inks, cold resistant-plastics, waxes and polishes, nylon, pharmaceuticals and perfumes. 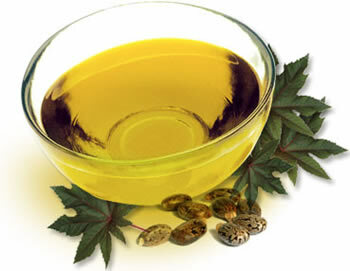 Castor oil is recognized to be safe and effective by the United States Food and Drug Administration (FDA), as the oil is considered to be laxative. The oil has the components which can be digested by the small intestine. Coconut oil known for its countless beneficial uses is extracted from the matured coconut kernel or meat. The white and clean part of coconut is actually used to extract the oil, which is pleasant in taste and highly digestible. The tropical countries especially India, Sri Lanka, and Thailand, Philippines etc are habituated to coconut oils and their uses. Coconut oil and its types are normal part of dietary and eating substances in these countries. The oil is obtained from machine and bullock/manual pressing methods. 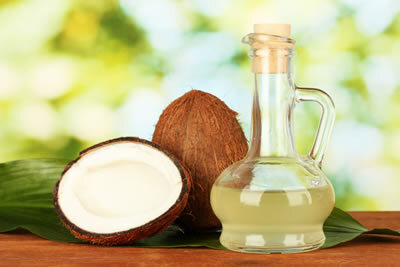 Coconut oil can be easily absorbed into skin; hence the oil is world famous for its skin and hair therapies. The oil is beneficial in numerous health and cooking applications; and has proven to be advantageous in curing and preventing almost many dangerous disease. Candida- an inflammation caused can be prevented and cured by coconut oil. The oil forms a chemical layer and hence protects the infected body part or layer from external dust, air, fungi, bacteria and viruses. It is highly effective for bruises, as the oil speeds up the healing of damaged tissues. Coconut oil has the ability to prevent and cure the digestive system issues and problems related to stomach, like the Irritable Bowel Syndrome. The oil is known for its mouth watering flavor hence adds a distinct lovable taste when used in any food item. Both the oils are best in their parts and hence perform their respective roles in their relevant sectors. Coconut oil is one among the best cooking oils, as it adds its own unique flavor in the food item. While, castor oil is not at all applicable for cooking purposes, and hence has extra medicinal benefits in the respective sectors. Both oils contradicts their flavor, as coconut oil has a pleasant and soothing taste; whereas castor oil is quite unpleasant and disgusting taste, hence cannot be directly used for cooking. Both oils almost share the same part in benefits and hence are used for distinctive medicinal and industrial purposes. How does the oil appear to be? Not used for Cooking purposes. Best known for Cooking purposes.